The remains of an old ski area offer a backcountry gateway that is popular with Front Range skiers. The now defunct Berthoud Pass Ski area is popular with backcountry ski, snowboard and snowshoe enthusiasts. This area is not for beginners, as true backcountry conditions do exist. Equipment including probes, shovels and beacons are all musts, because slides are frequent in the area. There are a few green runs- CDT East, CDT West and Chicken Out for those headed to the backcountry for the first time or who need a confidence boost. Some routes can be accessed from the parking lot or close to the road and those tend to be the most popular with snowshoers including the Hell's Half Acre area on the east side of the highway. Also on the east side is the Floral Park area. Head west across the road and you will find the West Side, Pumphouse Basin and Current Creek areas. This is where you will find more of the routes you need to hike to. A few routes take you below the pass, so a shuttle car is necessary. There are a total of 65 defined routes. Friends of Berthoud Pass is a great resource for current snow conditions on the Pass. Backcountry skiers who are starting to get their chops down can test their skills on the east side of the pass, where the old ski lift ruins can still be seen. 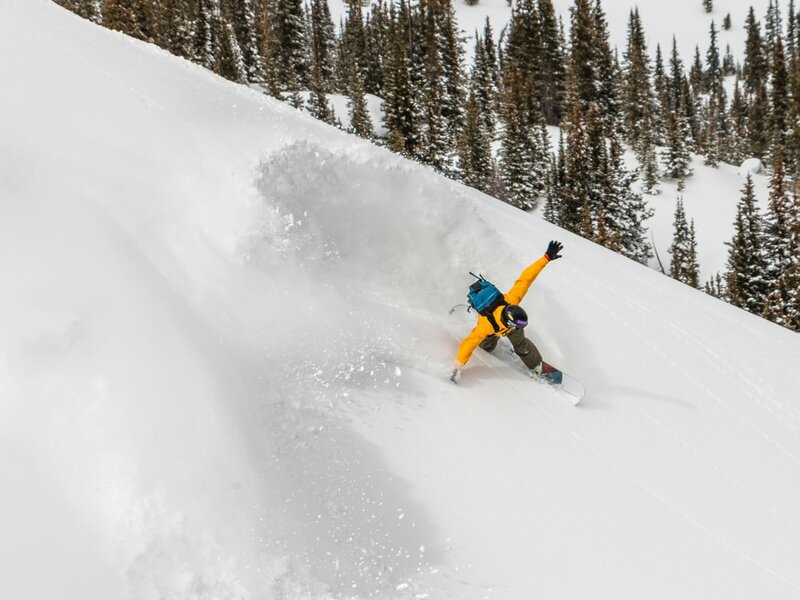 Experts will love going into the deep backcountry and get their turns on some amazing, steep terrain. Berthoud Pass is located along US 40 off highway I-70 (Exit 232). Drive to the very top of Berthoud Pass, where a large, paved parking area awaits on the east side of the road. Written by Courtney Johnson for RootsRated.